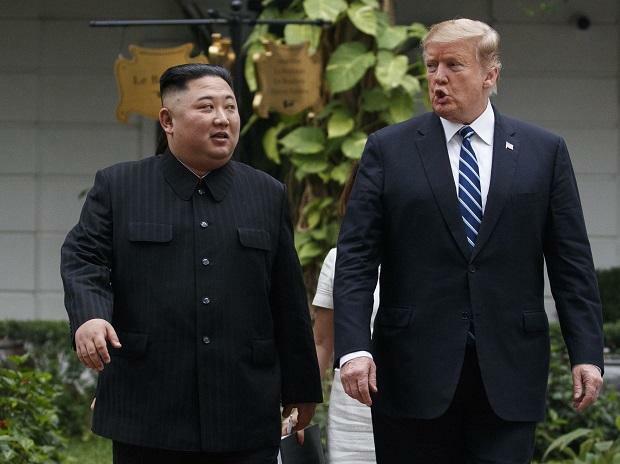 US President Donald Trump and North Korean leader Kim Jong Un failed to reach a deal on denuclearisation on Thursday because Kim had made unacceptable demands on lifting US-led sanctions, Trump said. What does the failure to reach a deal in Hanoi mean for North Korea's neighbours and others trying to end the standoff? But no deal is better than a bad deal. Trump's domestic critics and security hawks like National Security Adviser John Bolton had been wary of a half-baked deal and called for full, verified North Korean denuclearisation first. And Boeing Co bagged a $15 billion deal from Vietnam, with carriers VietJet and Bamboo Airways ordering 110 planes from the US aerospace giant. Kim failed to win sanctions relief after shifting his focus last year to building a "self-sufficient" economy, abandoning the parallel pursuit of nuclear and economic development, for which he had to work hard to persuade some military hardliners, according to defectors and observers. North Korea had long promoted its nuclear arsenal as key to its survival and avoiding a US invasion. Now Kim is saying his top priority is boosting the economy, but without sanctions relief there is not much he can do. A blow for President Moon Jae-in, who is keen to see the lifting of sanctions that have hampered his ambitions to reopen an inter-Korean factory park and tourism zone. Moon wants to build an inter-Korean economic community, under a multibillion-dollar initiative dubbed "New Korean Peninsula Economic Map", which he said could be a new growth driver amid a moribund economy and the worst job market in a decade. A nuclear deal could have included a peace treaty that would have formally ended the 1950-53 Korean War and prompted the North to demand a withdrawal of some 28,500 US troops from the South. Trump said last week that drawing down US troops was not on the table. Japan fears an eventual deal could mean US security concessions to North Korea, which has test-fired missiles over Japanese territory and threatened Japan's destruction. Tokyo maintains there should be no easing of sanctions until North Korea takes concrete, irreversible and verifiable steps to abandon nuclear weapons and ballistic missiles that could reach its soil. Abe said he "fully supported" Trump's decision against a deal. China is North Korea's sole major ally and hosted years of on-again-off-again "six-party talks" aimed at reining in North Korea's nuclear weapons programme. It has urged the United States to relieve sanctions to expedite denuclearisation. The failure to produce a deal will underscore the perception of Trump's unpredictability as a negotiator after he cancelled what Beijing had thought was a deal last year to resolve their trade dispute, both countries now being in the final stages of reaching an agreement. China, which views North Korea as a useful buffer to keep US forces in South Korea and Japan in check, would be adamant that any deal between Kim and Trump does not negatively affect its own security. "This is not the end, as we all know that this issue is complicated can't be dealt with in a short period of time," said Pham Tien Van, a former Vietnamese ambassador to South Korea who also served in North Korea. After the summit ended, the Vietnamese Communist Party's propaganda department sent a message to local reporters, urging them not to criticise Trump or Kim. "Do not put out titles with 'Hanoi failure', do not blame either side and do not use any negative comments that could affect the two leaders," the message read.